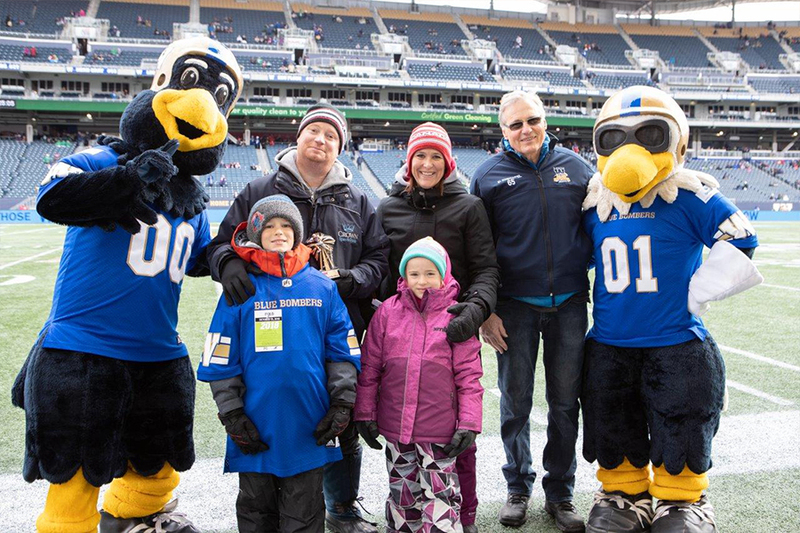 On October 13, 2018, Mike and his family were awarded the Winnipeg Blue Bombers IBAM Community Hero award. The Winnipeg Blue Bombers strive to be community leaders in Manitoba and are proud to recognize other individuals who make a positive impact of their own. Congratulations Mike and family! 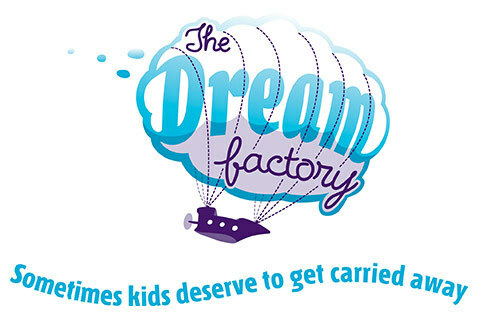 Crown Spas & Pools proudly supports the Dream Factory to help raise funds and awareness to support Manitoba kids battling life-threatening illnesses. Crown Spas & Pools supports the Dream Factory by providing prizes for auction events. Financial help is made personally, through the company, as well as from our incredible customers and staff. “I have always wanted to be involved with a charity that supported kids, now having two young children myself it means even more to me. It really hits home for me, we are very lucky to have two very beautiful, health and active children that we love more than anything in the world. I can’t imagine having to watch your own children take ill and not have a chance to be a kid. I look at my kids everyday and I am so thankful that they are healthy, I can’t imagine anything harder or more unfair than a child that has to suffer. So to be able to help make a child’s dream come true, to see a child smile and laugh and have fun even with all that is happening in their life, the pure joy and innocence, it is absolutely priceless. To think that a child can smile and be that strong through all of that is incredible. I had heard of the Rainbow Society before but I was not aware they had changed to the Dream Factory, so when a friend of mine approached me for support for the Dream Factory I had to find a way to do something. Every year since we have become more involved through our business and family and we will continue to increase our support as much as we can. In 2015, Mike Sudoski Jr. was pleased and very proud to be able to join the committee for the Dream Factory Auction. The auction raised more than $500,000 to help fund the dreams of the precious children of Manitoba. The Dream Factory is a charitable organization dedicated to fulfilling dreams for kids who are battling life-threatening illnesses. We’re unique because we’re based in Manitoba – and all of the funds we raise stay in this province to help local children. Everything we do is focused on helping sick kids and their families. The Dream Factory relies solely on the generous support of people and businesses. Since 1983, when we were founded as The Rainbow Society, we’ve created cherished memories for more than 500 families in Manitoba. The Dream Factory’s origins date back to 1983 when two mothers founded the very first wish-granting organization in Canada, called The Rainbow Society. It was established as a not-for-profit charity dedicated to bringing happiness and hope to children facing life-threatening illnesses. Their first “rainbow of dreams” was granted to a seven-year old boy named Jamie, who was undergoing treatment for a brain tumour.